Schoolcraft Featured in National Journal "School Leaders Now"
Schoolcraft Community Schools and our Strategic Partnerships for Authentic Learning were featured in a recent national article "7 Reasons Why Project-Based Learning Is NOT a Fad" in the School Leaders Now journal. "There’s nothing “faddy” about teaching success skills and wanting students to love learning." states National Faculty Member for Buck Institute Mike Kaechele. "For example, students from Schoolcraft Elementary School helped a major farming operation choose the right potato to plant for the best yields. The students researched and studied the data to make their determination. 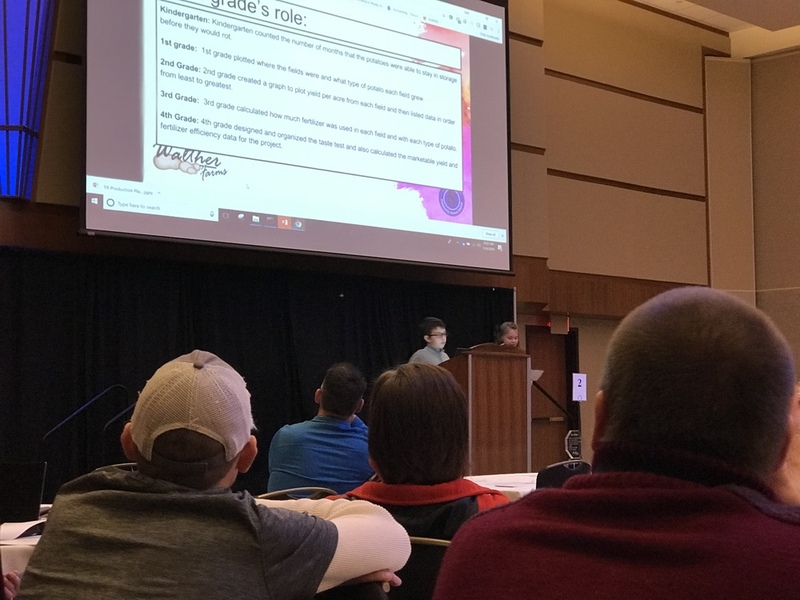 In the end, they presented at a board meeting of farmers from across the Midwest and the East Coast, and the students’ recommendation was unanimously approved! " Schoolcraft is in year 2 of their Project Based Learning (PBL) model called Strategic Partnerships for Authentic Learning. Project based learning as defined by industry leader Buck Institute as: Students work on a project over an extended period of time – from a week up to a semester – that engages them in solving a real-world problem or answering a complex question. They demonstrate their knowledge and skills by developing a public product or presentation for a real audience. Schoolcraft students have worked on projects for local community partners like Wedel's Nursery, VandenBurg Furnitureand Concept Molds just to name a few. The combination of standards based teaching and learning skills with project-based learning has made Schoolcraft students a formidable force moving into college and careers. We love empowering each EAGLE to be successful in life!